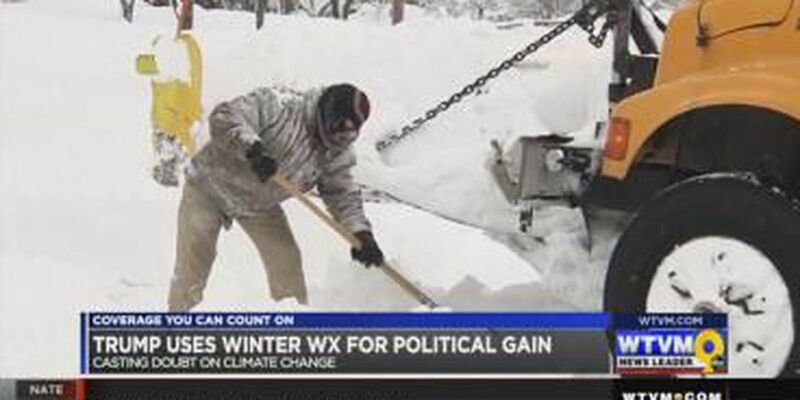 COLUMBUS, GA (WTVM) – President Trump has taken to Twitter again and is now using the ongoing cold spell happening across the country as political leverage to support his views on climate change. The president tweeting quote, "In the east, it could be the coldest New Year's Eve on record. Perhaps we could use a little bit of that good old global warming that our country, but not other countries, was going to pay trillions of dollars to protect against. Bundle up!" Scientists and experts say local weather is not an indicator of changes in climate. NASA has said 2017 was one of the warmest years on record. More information from NASA on climate change here.